"It's not just individuals who burn out - companies do, too!" This headline is taken from the harvard business review april 2010 [HBR2010]. It is an important message to all decision makers but even more important to all interim managers and lean practitioners as their constant companion in business life is change. How do you know? What should you do? First, the people – your employees – already know the symptoms even without knowing the root cause. They will complain about workload, receiving calls and emails outside working hours, intervention of management, missing decisions, constantly shifting priorities, etc. Check out the 16 questions in the section „does your company have an acceleration culture?“ of the HBR article. We experienced in our assignments, that your employees are the most reliable source to estimate the energy level. In regards of strategy level it is not so easy. Having management by objectives is place is no real indicator, but the most common answer. „Strategic thinking“? „Yes, maybe a good start, what do you mean by that?“… Silence. How many life cycles mastered your company already? Are you going through constant growth (stable system), changes or even revolution (kaikaku)? 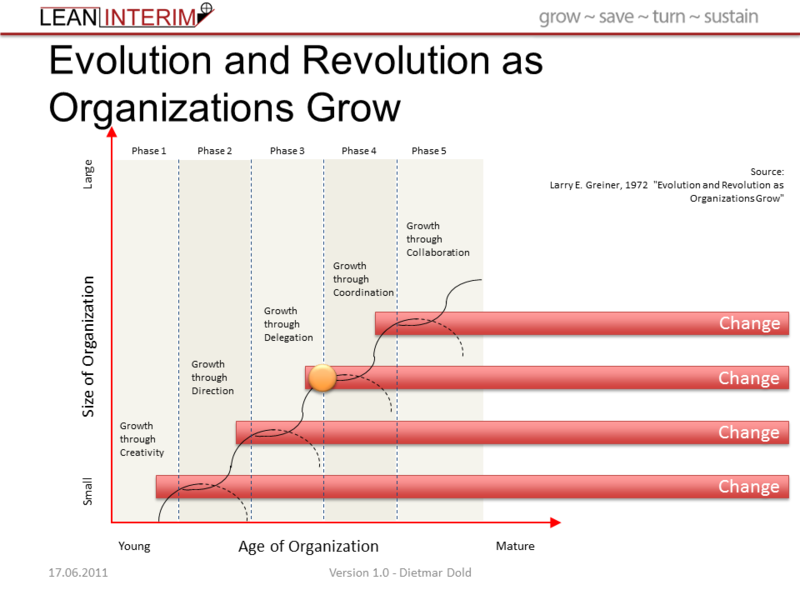 evolution and revolution as company growth. big picture. If you did this two analysis then you should be aware of your actual situation. Maybe you are going through a radical change where lots of activities are necessary. 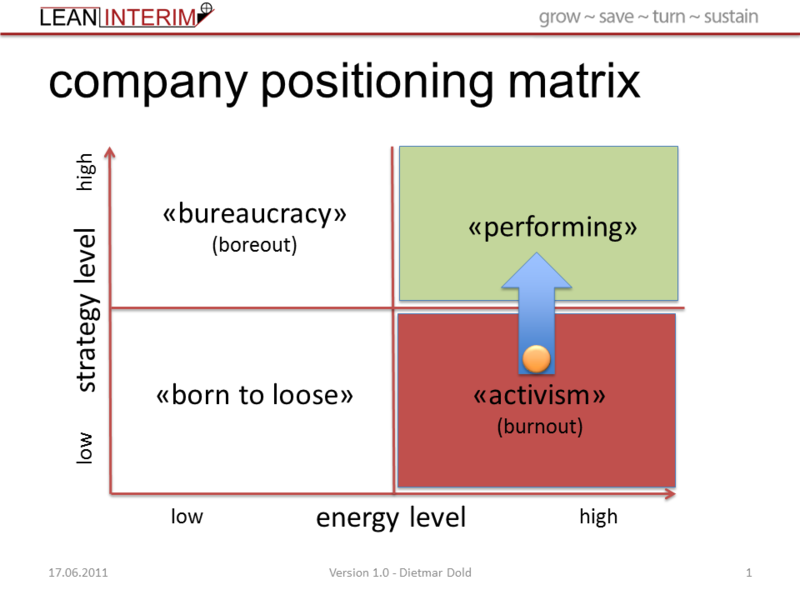 How can you prevent a company burnout during this times of change? External partners or interim managers are a good source to bring your company through times of change. The more experienced the external partner, interim manager or internal management is, the better. The more business approved procedures and management systems are, the better. Latest at the fourth stage of a company life cycle policy deployment is an absolute must have. Good companies start straight away with this great management system. Please do not hesitate to leave your input on this topic or get in touch with us.